Benue Speaker, two other principal officers impeached – Royal Times of Nigeria. Political tension continued to heighten in Benue State, on Tuesday, as 22 out 30 members of the state House of Assembly impeached the Speaker of the House, Mr Terkimbi Ikyange; his deputy, Mrs James Okefe; and the Majority Leader of the House, Benjamin Adanyi for alleged abuse of office. The lawmakers accused the Speaker of abuse of office and high handedness and consequently elected a former Chief Whip of the House, Mr Titus Ubah, representing Vandeikya Kyan constituency as the new Speaker. 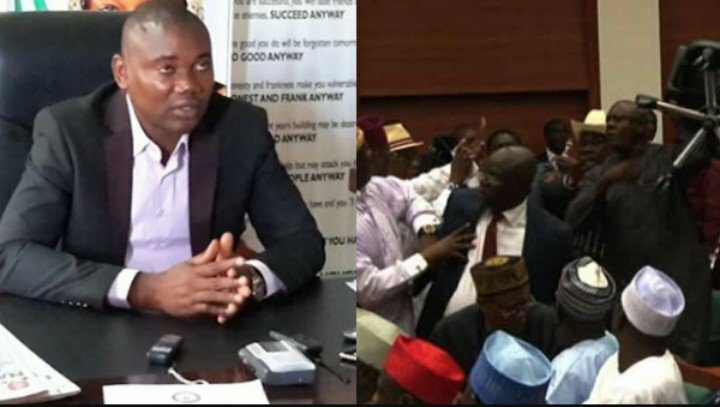 Johnson Egli Ahubi ( Otukpo/Akpa) was elected Deputy Speaker while Avine Agbum (Makurdi South) was elected the Majority Leader. The House had on July 10 adjourned sitting to August 15, 2018, only for the 22 members to have an emergency sitting on Tuesday, 24th of July. Speaking to newsmen shortly after his election, the new Speaker, Mr Titus Ubah, stated that Ikyange was unanimously removed as a result of his high handedness.